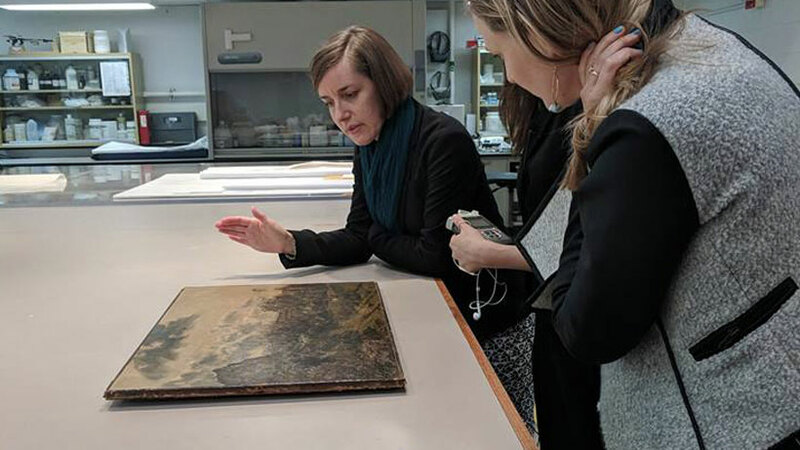 The Museum houses over thirty thousand works of art; behind the scenes, staff care for and continue to research all the works that reside within its walls. In focus here is a painting that was ascribed to the great English landscape painter John Constable (1776–1837) when it entered the Layton Art Collection, in 1941. Recent conservation on the painting has brought this attribution into question. Follow along with the twists and turns in uncovering the mysteries of this work of art in a three-episode podcast produced by House of Who. All 3 episodes are available now on iTunes, Spotify, and SoundCloud. Sponsored by: Layton Art Collection Inc.